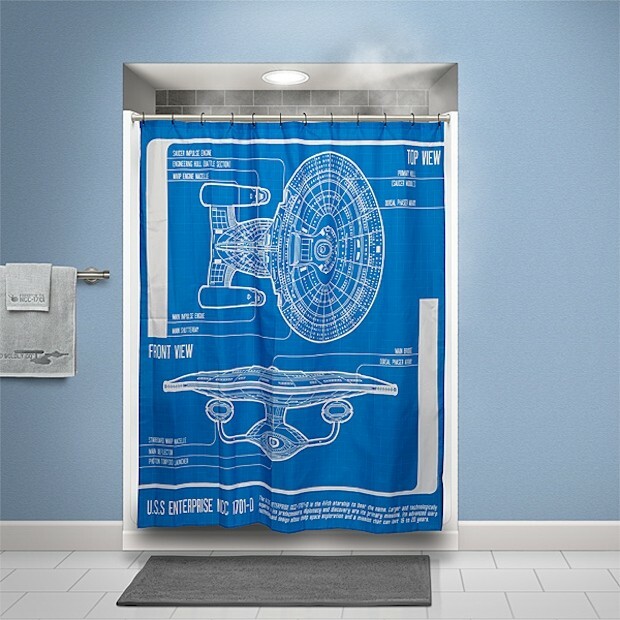 Normally, you won’t get wet by stepping into the Enterprise, unless Q is up to his old tricks anyway, but this shower curtain is kind of like that. It features a cool blueprint of the Enterprise D. This way you can study up for that Starfleet Academy exam while you are in the bathroom. You have to ace that test on the Federation’s flagship. 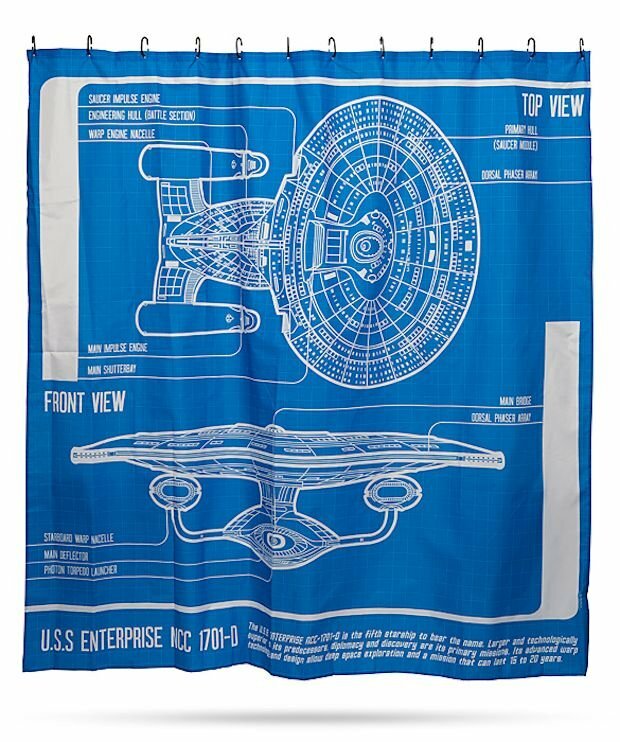 This awesome shower curtain is only $24.99(USD) from ThinkGeek. It is a great gift for any Star Trek fan, whether their shower is sonic or water based. Just try not to clog up the nacelles with soap. Geordi hates that. Also, it makes the ship leave a bubble trail through space.